WASHINGTON — President Trump and his representatives on Monday dismissed the charges leveled against three former campaign advisers, saying none of them proved that he had colluded with Russia last year to influence the presidential election. The White House said that the indictment of Paul J. Manafort, the president’s former campaign chairman, and Rick Gates, his deputy, as well as the guilty plea of George Papadopoulous, a former campaign adviser, had nothing to do with Mr. Trump or his election operation. Instead, it sought to refocus attention on Democrats and their actions during the campaign. 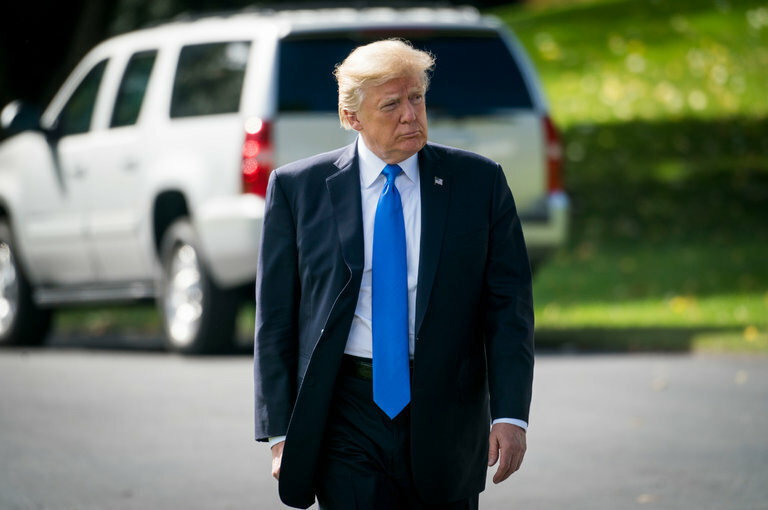 Jay Sekulow, a private attorney for Mr. Trump, said the president and his legal team were not worried about the indictments, which could be used by the special counsel, Robert S. Mueller III, to seek testimony that could implicate other targets. On Twitter, Mr. Trump reacted only to the indictment of Mr. Manafort on tax fraud, money laundering and foreign lobbying violations, arguing that it was not relevant to the campaign since it dealt with prior private business. He made no comment on the guilty plea by Mr. Papadopoulous, who admitted lying to the F.B.I. about his efforts to connect Mr. Trump’s campaign with Russian government officials. Democrats jumped on the indictments, showing no hesitation to link the allegations against Trump campaign aides to Mr. Trump himself. “These indictments and guilty plea demonstrate beyond any doubt that this is a consequential investigation, and it must be allowed to move forward without political interference,” he said in a statement. Ms. Sanders said that Mr. Manafort and the president have not spoken in months. She said that Mr. Gates had been at the White House several times since the inauguration, but she declined to say for certain whether Mr. Trump had spoken to Mr. Gates. 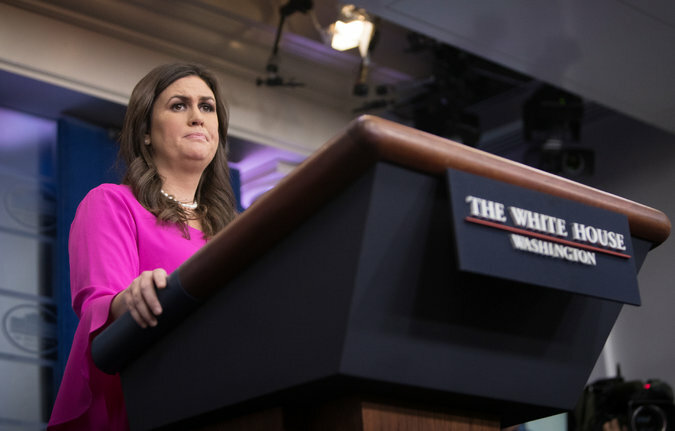 Both Ms. Sanders and Mr. Sekulow disputed suggestions that Mr. Trump might seek to fire Mr. Mueller. “There’s no intention or plan to make any changes in regards to the special counsel,” Ms. Sanders said. The two also played down the possibility that Mr. Trump might pardon Mr. Manafort or others caught in the special counsel’s investigation. “I haven’t had a conversation with the president about pardons or pardoning individuals,” said Mr. Sekulow. Ms. Sanders likewise said that she had not spoken with the president about the possibility of pardons. The president’s team again pointed to the Democrats to argue that they were the ones who were collaborating with Russia because of a salacious dossier of allegations against Mr. Trump produced by a firm called Fusion GPS that was paid in part by the Democratic National Committee and Hillary Clinton’s campaign. The orders provided an outline for a takeover approved by the Spanish senate on Friday, but Mariano Rajoy, Spain’s prime minister, now faces the challenge of implementing them. Puigdemont responded to Madrid’s move with a choreographed show of normality, going out for drinks and lunch at a restaurant in his hometown of Girona, as the pre-recorded statement played out on national TV. He briefly stepped out to take a photo with supporters, to applause from other diners. Many of the thousands of independence supporters who were weeping and celebrating in the streets of Barcelona and other towns on Friday had already pledged peaceful resistance to Madrid’s orders. Activists had offered to form human chains around buildings to protect officials, and some of the region’s 200,000 civil servants have already said they will not accept orders from Madrid. One Catalan union has called a 10-day strike in support of the new republic starting on Monday, although larger trade bodies have not so far joined. Josep Lluís Trapero, head of the regional Mossos d’Esquadra police, who was praised for his response to the August terrorist attacks, has been the only senior official to say he will comply with Madrid, accepting a demotion to commissar. Beyond the sweeping assumption of powers, Madrid took wider aim at the project of Catalan statehood pursued by the regional government. Among other orders, it dismantled informal embassies set up by Catalonia in countries from Denmark to Morocco, and dismissed a tribunal set up to investigate rights abuses during the 1 October referendum, when Spanish police were widely criticised for their use of force. Rajoy has also dissolved the regional parliament and called elections for 21 December, with a 15-day campaign period laid out in the new orders. Spain’s deputy prime minister, whose official title is vice-president of the government, Soraya Sáenz de Santamaria – who has managed the government’s response to the Catalan crisis – will run Catalonia on a day-to-day basis until then. It is not clear whether legislators who supported the independence declaration will be able to run for office again, but polls suggest a new election would return a similar parliament to the one that proclaimed independence. A slim majority of seats would be held by pro-independence parties, but they would still receive less than half of the popular vote, Associated Press reported. The region has been officially self-governing since its statute of autonomy was signed in 1979, as Spain returned to democracy following the death of dictator Gen Francisco Franco. However, as pro-independence Catalans celebrated, those who back staying inside Spain – often described as a “silent majority” – hoped the turmoil might also have spurred opposition to the independence project. On Sunday they will hold a long-planned march in support of remaining part of Spain, and turnout is likely to be watched closely, as a barometer of anti-separatist sentiment. Government polls in the run-up to the October referendum suggest their ranks swelled slightly in recent months. “We think there will be a lot of people who will want to show that they don’t agree with that kind of unilateral, illegal declaration. It has only served to create division. People want to express themselves, and our slogan is ‘We’re all Catalonia’,” said Alex Ramos, vice-president of pro-unity group Societat Civil Catalana. He accused local police of underestimating turnout at their last pro-unity march, claiming that up to a million people may have taken to the streets rather than the official 350,000. Numbers were swelled by some people from other parts of Spain, but Ramos said nine out of 10 of them were from the region. Their concerns are political and economic, but also emotional. Catalonia has long been one of Spain’s most prosperous regions, but the turmoil of the last months has taken a toll. Hundreds of companies have moved their headquarters out of Catalonia or are making plans to do so. The fledgling Catalan republic has received little support from overseas so far. Governments from Berlin to Washington have rallied behind Madrid, while warning against escalation or violence, many driven in part by concerns about secessionist movements at home. “I hope the Spanish government favours force of argument, not argument of force,” said the European council president, Donald Tusk. One of the few voices offering some backing to Puigdemont and the parliament came from Scotland, whose external affairs minister condemned Madrid. 1. Propose a big, disruptive new idea to your boss and if they say no, don’t give up. Simply retreat, reformulate your sales pitch and try again. Keep selling your idea until your boss sees the wisdom in it and gives you a green light to proceed. Claim that triumph on your resume! 2. Speak up at a meeting when the air is thick with tension and everybody knows it — but no one will name the elephant in the room. Be the brave person who says “Another thing we should talk about is X.” You will shift the energy in your department for the better. Feel the fear and speak up anyway! 3. Tell your boss “No, I can’t [work this weekend, fly to Hong Kong tomorrow, etc.] — that won’t work for me.” Set boundaries with your boss. If you don’t set boundaries, you will become a door mat and get trampled on! 4. Plan and execute a stealth job search — a job search you conduct while you’re working at your current job. 5. Change your LinkedIn headline to your own brand, instead of your current job title. Put a human voice in your entire LinkedIn profile. 7. Coach a friend through his or her job search process. The learning you’ll get by helping someone else pick a career direction, brand themselves, reach out to hiring managers, interview and negotiate a job offer will help you do all those things yourself! 8. Join a professional association and take on a volunteer role in it. Step into leadership in your volunteer capacity if your employer doesn’t have a leadership role available for you right away (or even if they do). Managing volunteers is a better way to learn true leadership skills than supervising paid employees — because volunteers will disappear if you don’t treat them right! 9. Introduce yourself to the highest-ranking executive in your organization. Let them know what you do for the company and offer your services if they ever need help from your department. Follow up with a brief, polite email message. These days we have to cultivate our own mentors and guides! 10. Stop and reflect on your journey as often as you can — at least once per quarter, and once per month if possible. Get a journal and write in it. Ask yourself “Am I on my path? Am I learning and growing in my job, my volunteer activities, my networking and my life in general?” Check in with your trusty gut often. The brass ring in this new millennium is not a fancy job title — it’s the power you build inside yourself by taking risks. You’ll accomplish everything you want to accomplish in your life and career as long as you remember that the scariest things we can do and say are the things that teach us the most. Liz Ryan is CEO/founder of Human Workplace and author of Reinvention Roadmap. Follow her on Twitter and read Forbes columns. Liz’s book Reinvention Roadmap is here. On October 24, the New York City Board of Elections finally admitted it broke the law by purging 117,000 voters off voter rolls in Brooklyn shortly before the 2016 Presidential Primary. The admittance came one year after a lawsuit was filed against the board for violating national and state election laws. As part of the settlement, the purged voters are to be restored to voter rolls, the board has 90 days to come up with a plan to prevent future purges and be subjected to regular audits and reports. In December 2016, Schneiderman proposed a series of election reforms in response to his office’s investigation of complaints from the 2016 New York Primary. “The voting issues we uncovered during the April primary were widespread, systemic and unacceptable,” he said in the press release. “The right to vote is the right that protects all other rights. New York must become a national leader by protecting and expanding voting rights throughout the state.” Those reforms proposed by Schneiderman and pushed for by several progressive organizations have been widely ignored by Democrats in New York. Despite New York serving as a Democratic Party stronghold, the state’s primary elections are one of the most undemocratic in the country and 2016 served as a prime example of why. The New York Democratic primary had the second lowest voter turnout (19.7 percent) of all Democratic primaries, behind Louisiana. Bernie Sanders’ presidential campaign helped bring thousands of Independent voters into the Democratic Party, but New York holds closed primaries, and the New York Attorney General’s office noted that many voters were unable to vote in the primaries because their registrations were not properly processed in time for the deadline. In New York, voters are required to register as Democrats six months before a primary to be eligible to vote in it, one of the longest time constraints on voter registration in the United States. Hillary Clinton defeated Sanders in the New York Democratic Primary, 57.9 percent to 42.1 percent, a victory that halted Sanders’ surge after he had won the last 7 of 8 primary contests. Schneiderman proposed automatic voter registration, offering same-day registration for voters, online voter registration, restore voting rights to parolees, and develop a system of early voting. The low voter turnout in the New York Democratic Primary was a symptom of an election system in New York designed to deter democracy through voter suppression. In New York City, voters were provided only one day to vote during the week, in the most populated city in the United States. New York should serve as an example to the rest of the country in how elections should be held to expand and promote democracy rather than constrict it. Keith Ristau, President of Far West Fibers, pulls a disposable coffee cup out of a pile of curbside recycling. Recyclers are worried they could soon have no place to send your discarded paper and plastics. That’s because China has decided the U.S. is letting food and garbage contaminate too much of its unwanted milk jugs and other recyclables.China is the biggest buyer of recyclable plastic, paper and metal from the U.S. Starting next year, China will no longer take our recyclables. They say those materials are coming over with food scraps or types of plastic that can’t be recycled. No more unclean chili cans. No more of the wrong types of plastic. No more things that just get tossed in recycling containers: junk like garden hoses or grocery store plastic bags. That’s left Northwest recyclers in a lurch. Oregon has been asked to allow recyclers to ship customers’ paper, plastic and metal materials to landfills. In Washington, recycling is most often handled at the city and county levels. That means it’s difficult to tell how each municipality is handling the upcoming changes. Brad Lovaas is with the Washington Refuse and Recycling Association. He said Friday that could mean more of the state’s recycling could be headed for the trash heap. Lovaas said recyclers are going to have to slow down the processing and sorting of products to meet the new standards. That could mean, in the near term, many recyclables will be headed to the landfill — it’s not safe or healthy to just store them somewhere until further notice. Washington’s recycling rate is around 50 percent, Lovaas said, which is above the national average, as are Oregon and California’s recycling rates. That’s one reason the West Coast is feeling the pinch of losing its biggest recyclable buyer. “We still are questioning whether we can attain the levels that — at least right now — (China) is dictating,” Lovaas said. Right now, Lovaas said consumers should still continue to recycle. Just check with local programs to make sure you know the rules — and throw things away if you aren’t sure if they can be recycled. More American states are legalizing medicinal marijuana, and more pet owners are now treating their pets with cannabis-based medicines as a source of relief from symptoms. Medical marijuana is legal in 28 states, though still illegal under United States federal law. As more humans turn to marijuana based treatments for their own conditions, some are finding that their pets are also experiencing relief when treated as well. Pet owners are using cannabis-based extracts, ointments and treats for issues that range from anxiety and arthritis to cancer. Because it the use of cannabis based products is illegal under federal law, there has been little research done with regard to its potential for help in humans or animals. Because of this veterinarians say there isn’t enough science to prove that cannabis is safe, or even effective in the treatment of animals, and they cannot recommend, nor prescribe it as a treatment. Ken Pawlowski is the president of the California Veterinary Medical Association and says that vets hands are tied when it comes to the questions and requests they get from clients asking about it for their pets. They just don’t have the answers for them. Even veterinarians in California, like Dr. Karl Jandrey, who also teaches at the University of California, says that he advises clients who insist on using cannabis-treatments to do so knowing there is risk and possible expense involved. Though marijuana is legal for both medical and recreational use in California, veterinarians are legally restricted from prescribing or even recommending cannabis, and could lose their licenses if they did. Yet, even with little science backing the efficacy of cannabis treatments in pets, many owners are still using them on their own, and thankful for the options. Most of the products they use, though not regulated, have cannabidiol, or CBD, which is found in cannabis but doesn’t get pets or humans ‘high.’ Tetrahydrocannabinol, or THC, is the compound in cannabis that is known for its psychoactive effects, and there is little to none in these products. There’s been such ‘success’ among pet owners in the usage that now companies are producing and marketing cannabis products specifically for pets, even though the actual legality of the products is questionable. One such company is TreatWell Health, which is based out of San Francisco. TreatWell sells cannabis tinctures that can be added to a pet’s food or put directly in his mouth. Alison Ettel is the co-founder of TreatWell and she says that a lot of clients are coming to her when there are no other options, particularly when prescribed medications simply don’t work. Ettel says that TreatWell tinctures can help treat things like anxiety, pain, seizures, kidney and liver problems and even cancer and glaucoma. They are also part of end-of-life care routines to make the pets comfortable. What clients say is that the treatments bring their pet’s back to their old selves. TreatWell client Barbara Stein said that when no traditional medicines worked for her aging cats, the cannabis did. Canna-Pets is a pioneer of cannabinoid nutrition for pets. 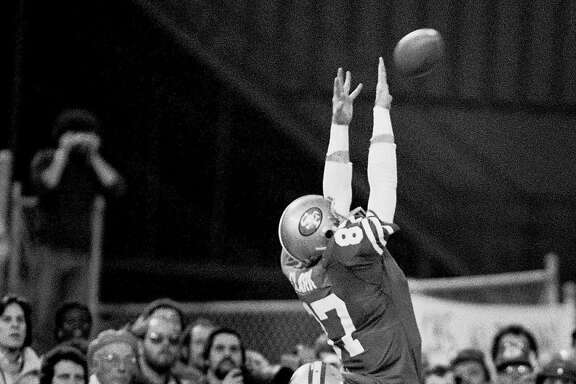 Dwight Clark hit by cruelest of fates. Watch the game today. 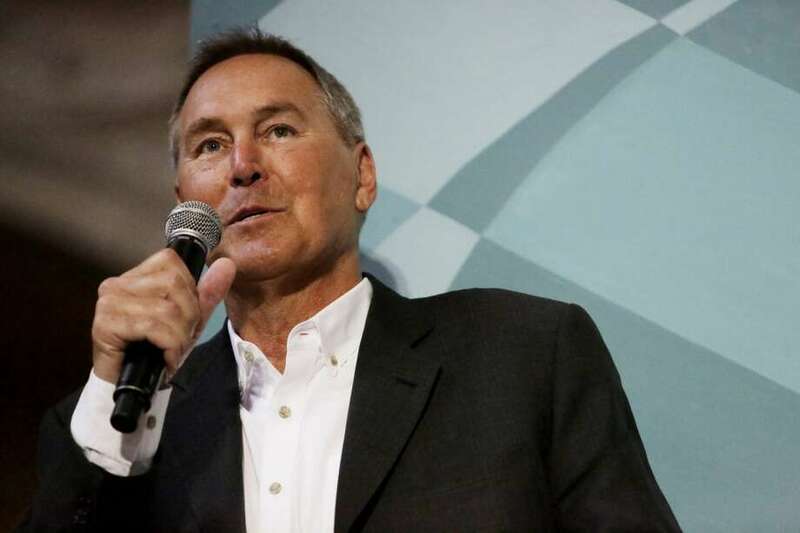 Dwight Clark speaks in front of a mural dedicated to the 49ers on April 23, 2017, in San Francisco. For most of the past four decades, it seemed that Dwight Clark had been sprinkled with lucky dust. That he had a golden horseshoe stuck somewhere on his body. Over the years, Clark would agreeably acknowledge that life had, indeed, been pretty good to the handsome kid out of Kinston, N.C. But life has abruptly reversed course. Clark, who will be honored on Sunday at Levi’s Stadium, is suffering one of the cruelest fates of the human condition. He revealed last spring that he had been diagnosed with amyotrophic lateral sclerosis — Lou Gehrig’s disease. His condition is deteriorating. The man who became famous for touching the sky as he leaped to catch a touchdown pass is confined to a wheelchair. It is heartbreaking. A reminder that no one is immune from the ravages of disease and physical disability. There is precious little magic around the 49ers these days. Sunday, when the 49ers take on the Cowboys — a matchup forever changed by Clark’s catch — there will be reflections on that most idyllic, Camelot-like, of times for the team. Thirty-eight members of San Francisco’s 1981 championship team will be on hand, along with 20 other former 49ers players. Various proceeds will go to the “Golden Heart Fund,” which supports 49ers alumni in need of assistance. Also expected at the ceremony: Eddie DeBartolo Jr., Carmen Policy, several former employees, and Everson Walls, the Cowboy who will forever be frozen in time below Clark, hand outstretched to try to stop history. Joe Montana will speak at halftime, to pay tribute to Clark. Clark was drafted in the 10th round of the 1979 draft, back when there were 10 rounds. Bill Walsh had traveled to Clemson to work out quarterback Steve Fuller. Clark was at the workout to catch Fuller’s passes. Walsh liked what he saw in the 6-foot-4 receiver. He came into camp with a skinny guy named Montana who — according to a hilarious recounting by the parties involved — Clark originally mistook for the kicker. The quarterback and receiver quickly bonded. They roomed together, pulled pranks on teammates, and tried to hide from the coaches, always afraid they were about to be cut from the team at any moment. They weren’t. 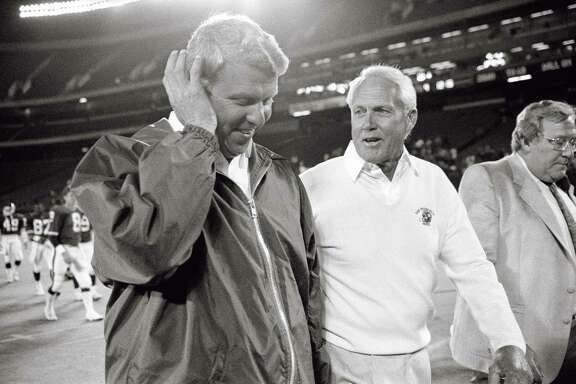 Though there were other key figures, most notably Walsh, who were responsible for the 49ers’ rise, Montana and Clark became the image of the team. The dashing duo: Montana, the cool gunslinger, and Clark, the affable country boy with the movie star looks. Montana recounted that the late Freddie Solomon had nicknamed Clark “Hercules.” In Roman mythology, Hercules was known for his strength and his many adventures. That was how Clark’s teammates viewed him. Last spring, at a touching ceremony at City Hall to announce the naming of streets in the Candlestick Point housing development, Clark was suffering but still got up to speak. 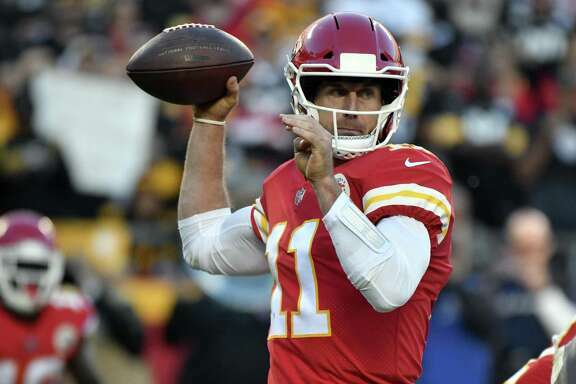 He spoke about “The Catch,” and described what a perfect, right-on-the-money pass it was from Montana, just high enough where only Clark could get it. “Give me my one play!” Clark joked. There was more than the one play. For nine years, wearing No. 87, Clark caught passes — 506 of them, resulting in 48 touchdowns. But that one play would come to define him, would change his life forever. Never the fastest or most talented athlete, Clark made the right play at the right moment to become an instant legend. To become a beloved part of history. Walsh had called “sprint right option.” Solomon was the primary receiver, but he slipped coming off the line, so the timing of the play was screwed up. But Walsh had his offense practice the play since training camp and Montana knew that Clark should be getting open. Montana let go of the ball and was pushed to the ground by Larry Bethea. He didn’t know what happened until he came off the field and equipment manager Chico Norton ran up to him. It was as though Clark had sprouted wings. A moment of pure magic.